I have only one word to say after the latest issue of Arrow: Season 2.5 - More! The recent Suicide Squad: Crisis In Khandaq Special has proven superior to every Suicide Squad comic since the New 52 reboot and I would love to see this as a regular feature alongside the regular Arrow and The Flash comics. 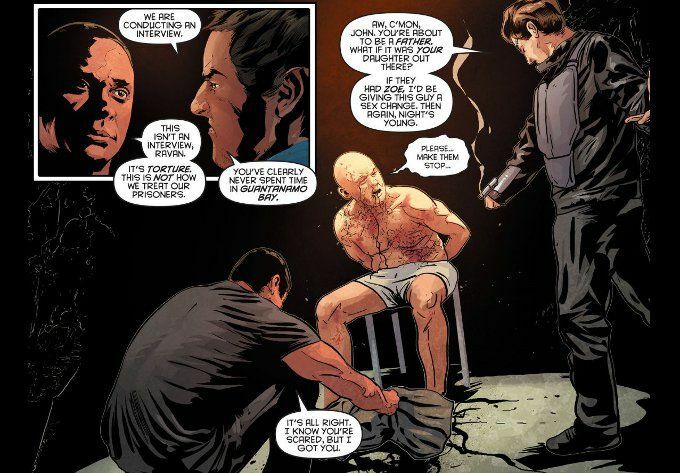 Like John Ostrander before them, Marc Guggenheim and Keto Shimizu have drawn upon real world events to tell a tale that takes advantage of the setting of the DC Comics Universe while still being grounded in a gritty reality. And yet there are a number of little touches that are offered up with surprising subtlety, such as Deadshot showing the outrage only a father could at the thought of little girls being endangered. And Khem-Adam - this world's version of Black Adam - proves a frightening foe even without magical powers. 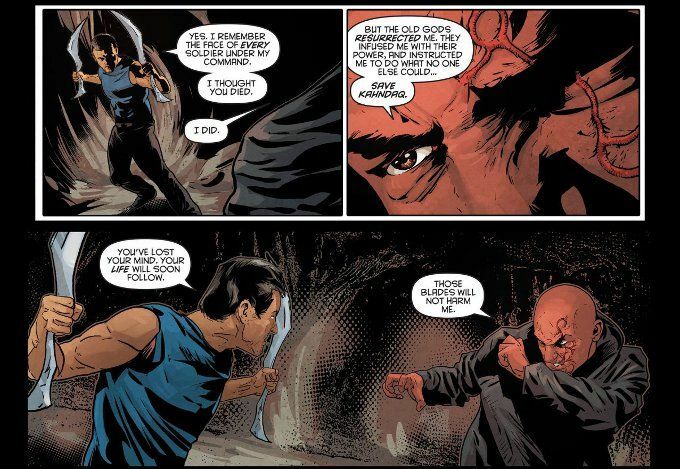 It spoils little to say that not everyone makes it out of this issue alive but hopefully Khem-Adam will return someday... perhaps even on Arrow itself.! The artwork by Szymon Kudranski is as excellent as ever. Comparable to Tony Harris in his photo-realistic style and use of shadow, Kudranski's also an excellent caricaturist who perfectly captures the likeness of the actors from the show. This book has never looked as good as it has under his pencils.